We know that there are a lot of picky eaters with some very frustrated parents out there, so we were thrilled to connect with Dr. Deb Kennedy, author of The Picky Eating Solution to learn about her amazing new book and also to get a few of her pointers for taking the stress out of mealtime. Read on for our full interview with Dr. Deb to learn more about her, the book , and a few ideas that might just help make mealtime fun again. The love a parent has for their child and their willingness to do anything for him is my inspiration for this book. I really feel for those parents who are trying so hard to feed their children a healthy diet only to fail because the standard feeding advice is antiquated and dis-empowering. Letting children decide “if” and “how much” they will eat puts the power in their child’s hands and has led to a state of frustration for many parents who are told to back off at the table. I have a PhD in nutrition from Tufts University and have worked in the field of nutrition for over 20 years. I developed the Integrative Therapies Program for Children with Cancer at NY Presbyterian Hospital; set up a not for profit for Dr Oz; and was the associate director of nutrition for the Yale/Griffin Prevention Research Center. I am also the founder and director of Build Healthy Kids® (www.buildhealthykids) which reaches over 160,000 students a month and author of 3 childhood nutrition books: Nutrition Bites (Authorhouse). Beat Sugar Addiction Now for Kids (Fair Winds Press 2012) and The Picky Eating Solution (Fair Winds Press 2013). What are your goals for this book? My number one goal is to transfer power back to parents where it belongs. We know what works with our children; how to get them to bed on time, to wash their hands, to be polite; it takes setting rules and consequences. I want parents to know that it is not only OK but essential to set rules and consequences at the table. My second goal is to teach parents how to work with their individual “eater” based on their child’s personality. There are lots of quizzes and assessments throughout the book so that parents can learn not only what their child’s eating temperaments are, but be able to work with their child’s unique set of traits at the table. Knowing when to push or to back off will help stop the daily battles many parents have when feeding their child(ren). What myths would you like to debunk with regards to children’s nutrition? Children will not naturally select the nutrients they need if processed food is in their diet, and for most of us it is. Many children do not grow out of picky eating. In fact picky eating is now a new official diagnosis in adults. Just because your child is growing along the curve does not mean that she is getting everything she needs to reach her potential. It is not OK to let months and years go by without your child eating fruits, vegetables or dairy (or other sources of calcium). Intervening at the table is a negative action. Parents need to teach their child how to eat a healthy diet and in order to do that they need to have expectations and consequences. We need not go back to a militant way of getting kids to eat but we have swung too far in the opposite direction and have become too lenient. Being in the middle is a great place to be. What are some of the biggest hurdles parents today face when feeding their children? The #2 hurdle is the absolute saturation of junk food in the environment where children live and play. It is hard to say no to treats all the time when children see them everywhere. #3 Mom says no and dad says yes. The number one issue I get when I speak to groups of parents is from moms saying that they are trying to feed their child a healthy diet only to have dad bring home junk food. Getting both parents on the same page is essential and it just takes educating both parents. What are some of the most difficult foods to introduce to children? How do you recommend parents make those introductions? In my Build Healthy Kids program, we focus on making one change at a time. The recipe for success when introducing a new food is to expect small incremental changes, celebrate the small victories, and get your child involved in the process. The #1 most difficult food is vegetables because we are born preferring sweets and avoiding bitter tastes (found in many vegetables). Here is a simple yet effective method that may help: Have your child select the veggie of the week: Make a chart with 3 columns and put a picture of a finger, nose and mouth on the top of the columns: Select the most awesome stickers (for younger children) or give 5 points (for older children) to a child when he touches the new veggie. When he is comfortable touching the new vegetable, have him work on smelling it, and finally licking and then tasting it. This method will work with any new food. What is your number one tip for making meals fun… even for picky eaters? First I have to say that the myth that we have to make food fun is what is stressing out parents everywhere. Food is about nourishment and to expect that eating has to be fun is setting oneself up for failure. Having said that though, kids love to build and create, and to get their hands dirty. The fun around food should be in the growing, selecting and preparing of food. Get kids of all ages back into the kitchen where they can help to prepare a meal, even the youngest of children can wash produce at the sink. “Aunt Kitty’s-Little Bit of This and That”. I put out small finger foods like crackers, cheese, hummus, olives, fig jam, tiny pickles, baby carrots, and diced red pepper and let everyone go at it. A slice of cheese with fig jam on a cracker, hummus and diced red pepper…Delish! It is both my sons’ favorite because they get to create their own “stacker”. 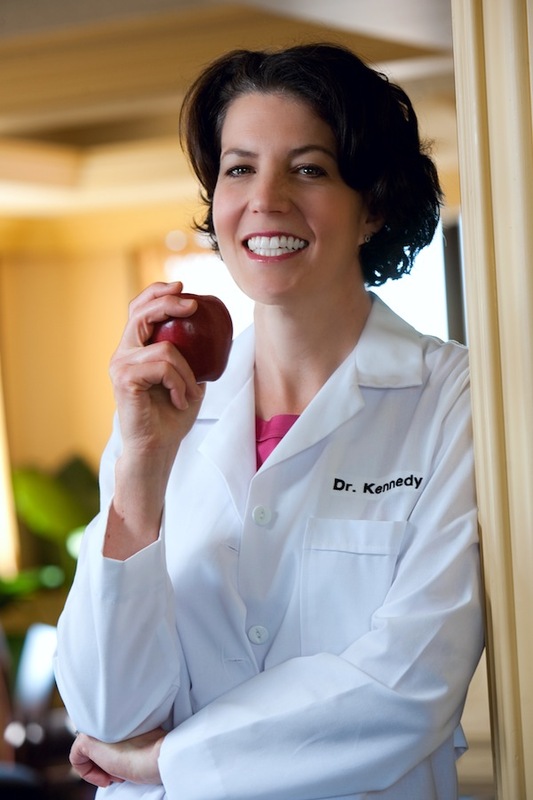 Learn more about Dr. Deb Kennedy and The Picky Eating Solution here: www.DrDebKennedy.com. This entry was posted in Uncategorized and tagged Dr. Deb Kennedy, food for kids, healthy meals, laptop lunches, lunch ideas, meal ideas, menus, picky eaters, school lunch ideas, school lunches, The Picky Eating Solution. Bookmark the permalink.